Late start again with breakfast on the roof where I met Jo the only other older volunteer left. She's at honour village and is here for 2 months. She was going to the museum but I wanted some pool time . Not quite so hot today after the rain but by that I mean just not unbearable. Walked the road to the frangipani hotel where use of pool is reimbursed if you spend 5 dollars on food. 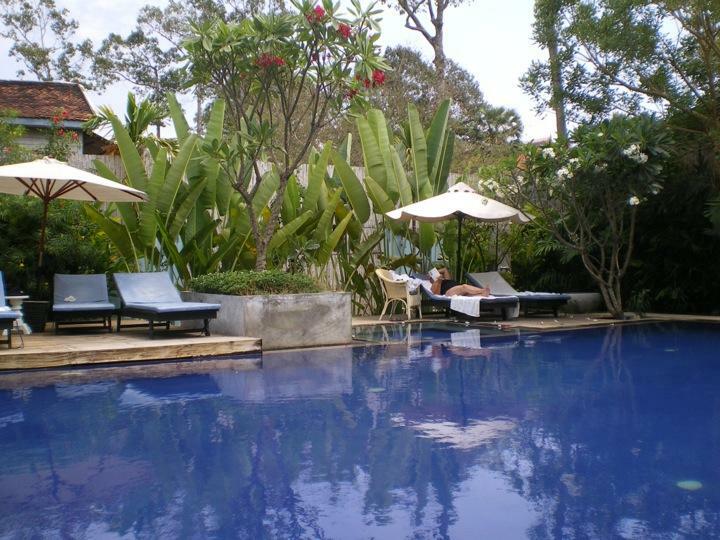 What a delightful smaller hotel with a lovely spa and a small but lovely pool. Joined by Jo and we had some lunch. She went off to have a massage and instated till about 4 then went into town for a wander and a most welcome coconut shake - happy hour. sarah sounds bliss x Have you still not received my package??? Tom Rycroft Hi Sister, Trip sounds great. Sally and I are off to see mum today. We will be up this evening and will take her to the library tomorrow (Saturday). We will show her offfexploring pics and blogs.